We've created a reputation in Brisbane & on the Gold Coast as the leading luxury custom home build specialists. With more than 20 years in business, we’ve built a solid reputation for always doing what we say we will. We forge close relationships with our clients during the building process and this is reflected by the number of repeat clients and referrals we receive. The quality of our workmanship, coupled with our commitment to accountability, integrity and transparency of all aspects of your build is what makes us stand out from many other builders. We give you round the clock access to every detail of your build, including an account of what we’ve spent and when each piece of work is scheduled to commence and finish. We’re a highly responsive and passionate team and we work closely with you to ensure that the home we build for you exactly meets the vision you have. 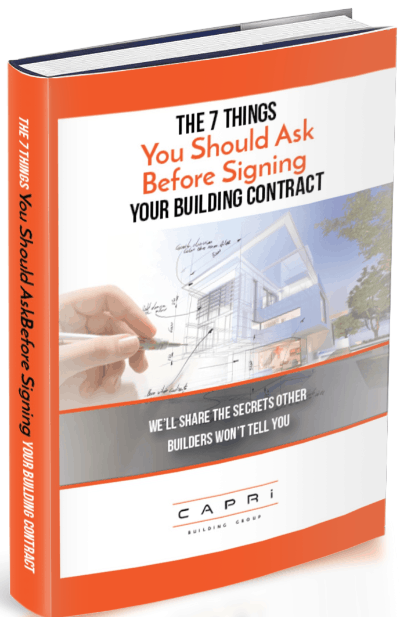 You’ll enjoy a stress-free building process that is defect-free – and what’s more we guarantee the completion date of your home the day we start construction, so there are no moving targets when you build with Capri. We seamlessly integrate the interior and the exterior of the homes we build, creating a welcoming and luxurious atmosphere that comes from inspired designs, careful detailing and high quality craftsmanship with our professional tradesmen.